When a man is found on a Norfolk beach, drifting in and out of consciousness, with no identification and unable to speak, interest in him is sparked immediately. From the hospital staff who find themselves inexplicably drawn to him; to international medical experts who are baffled by him; to the nationalpress who call him Mr Nobody; everyone wants answers. Who is this man? And what happened to him? Neuropsychiatrist Dr Emma Lewis is asked to assess the patient. This is her field of expertise, this is the chance she’s been waiting for and this case could make her name known across the world. But therein lies the danger. Emma left this same small town in Norfolk fourteen years ago and has taken great pains to cover all traces of her past since then. But now something – or someone – is calling her back. And the more time she spends with her patient, the more alarmed she becomes. Has she walked into danger? 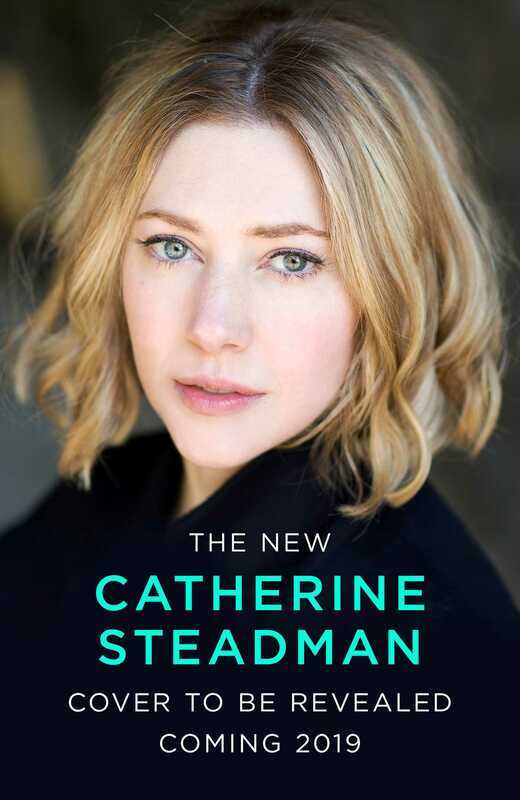 Catherine Steadman is an actress and writer based in North London. She is known for her roles in Downton Abbey and Tutankhamun, starring alongside Sam Neill, as well as shows including Breathless, The Inbetweeners, The Tudors, and Fresh Meat. In 2017 Catherine will feature in political thriller Fearless and new BBC comedy Bucket. She also has appeared on stage in the West End including Oppenheimer for the RSC, for which she was nominated for a 2016 Laurence Olivier Award.